Welcome to Polynesian Shores condo #120. 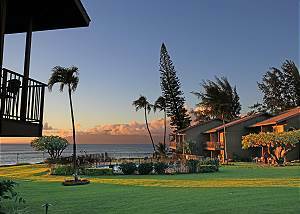 Enjoy your Maui dream vacation in this remodeled one bedroom, one bathroom condo. You will enjoy panoramic ocean views and nightly sunsets, as well as sweeping views of the grounds and pool. Welcome to Polynesian Shores condo #125, where a wonderful unobstructed ocean view greets you from the living room and lanai. Sitting here and enjoying your breakfast, lunch and dinner from here will have you never wanting to leave! Polynesian Shores Unit # 104 is a gorgeous condo is new to our rental program and we are excited to have it. It is completely updated and remodeled and has no obstruction of the view to the vast Pacific Ocean!